ACT Fibernet, the Internet Service Provider (ISP) last year became the first wired broadband operator to introduce gigabit connection in India. The ISP is all geared up to launch a new Android-based streaming service in the country, which will be named as ACTTV+. At the moment, the company is testing the ACTTV+ with some of its customers in some cities such as Chennai, Hyderabad and Bengaluru. Also, ACT is sending emails to the eligible customers to take on the free ACTTV+ trial program. Also, the ACTTV+ seems to be a box, which should be connected to the TV using a cable- HDMI or USB. Being an Android-based streaming device, the ACTTV+ will come with services such as YouTube, HOOQ, AltBalaji, etc. The ISP will be partnering with these services, but it’s unknown whether other services such as Amazon Prime Video will be available or not. 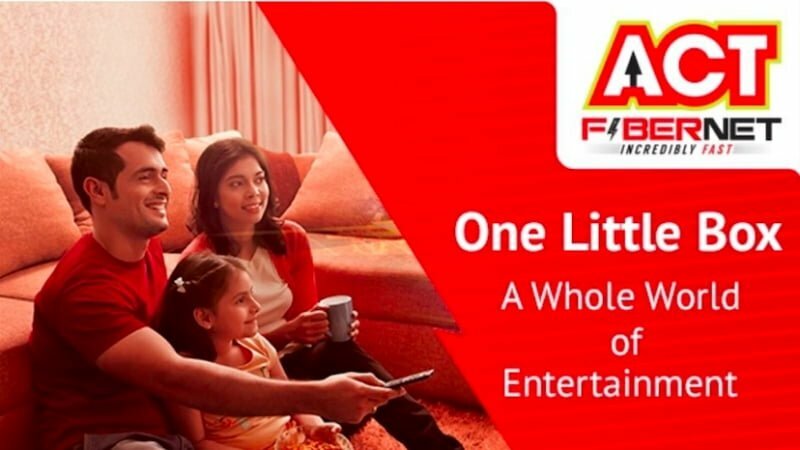 ‘An Android-based streaming device that offers online video content directly on your TV for the best streaming experiences, at the comfort of your home,’ mentioned ACT Fibernet about this upcoming service on its email to one of the customers. At the moment, we don’t have any information related to the ACTTV+, which also includes the price. It’s also unknown whether the ISP is planning to sell this product as a standalone product to every user or only for ACT Fibernet users. But surely, the company will launch a new bundled broadband plan with ACTTV+ to lure the customers. This product from ACT Fibernet will compete with the likes of Google Chromecast and Amazon Fire Stick. Both the products are available in the Indian market for over Rs 3,000 and most of the streaming-savvy users have already purchased either the Chromecast or Amazon Fire Stick. This product will also allow ACT Fibernet to offer bundled services, which includes broadband, television and Android-based streaming box. Amazon did not make a dedicated Prime Video support for Chromecast, which is the reason why there’s a huge demand for Amazon Fire Stick in the market. But there are some tricks available on the web to stream Prime Video on Chromecast, which might be applicable for the upcoming ACTTV+ as well. ACT should concentrate of giving better bundled data to its users. Gagabit or high speed internet only makes sense when you have FUP data till the last day of the month. Its always better to go for other ISPs as most are giving 700-1000 GB at Rs.1000 while ACT gives not even 200 GB. One of the best, simple and straightforward answers. Why do people make simple things sound so complicated is beyond my understanding.